Wearing African Fashion designs during New York Fashion Week was a major hit among the fashionable mavens. 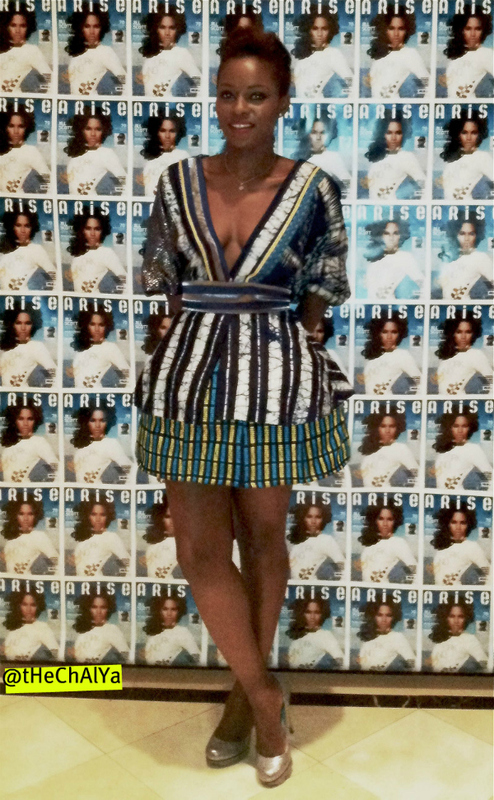 CulturalToast.com also spotted fashion consultant and blogger Chalya at the Arise Made in Africa show wearing a stunning handcrafted Deola Sagoe wrap dress lifted from the Nigerian fashion label’s newly release Ori Oke Fall 2011 collection! Essence magazine also endorsed Chalya’s style at New York Fashion Week for their street style portfolio! 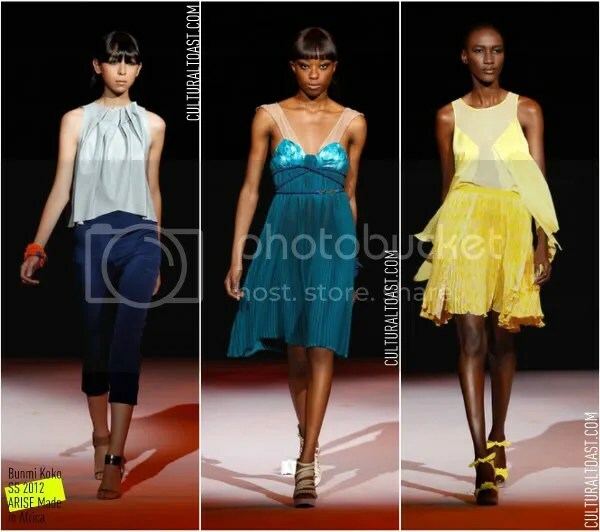 Deola Sagoe incorporated Japanese and Yoruba dress styles for her new Fall/Winter 2011 collection! The name Ori Oke is combination of two names from the Japanese and Yoruba dialects. “Ori” deprived from “Shibori” – a Japanese word. “Oke” is lifted from “Aso-Oke” – a Yoruba term. Fader TV caught up with Chalya after the Arise Made in Africa SS 2012 show wrapped up. What’s remarkable about the footage is of course what she wore! 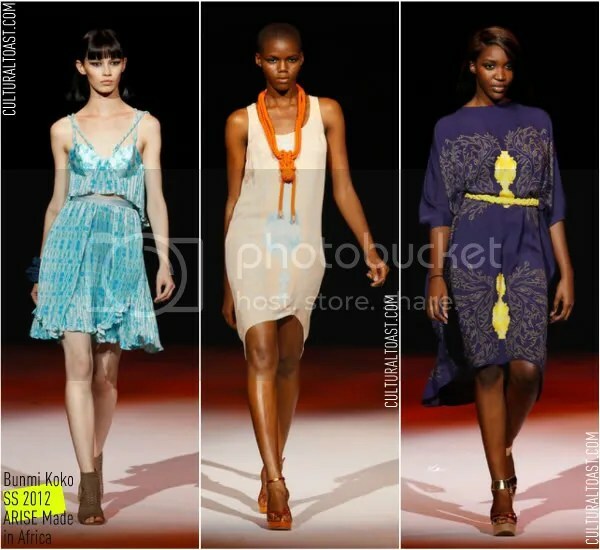 Fast forward to 3:01 to revel in Chalya’s Deola Sagoe Ori Oke Fall 2011 dress! 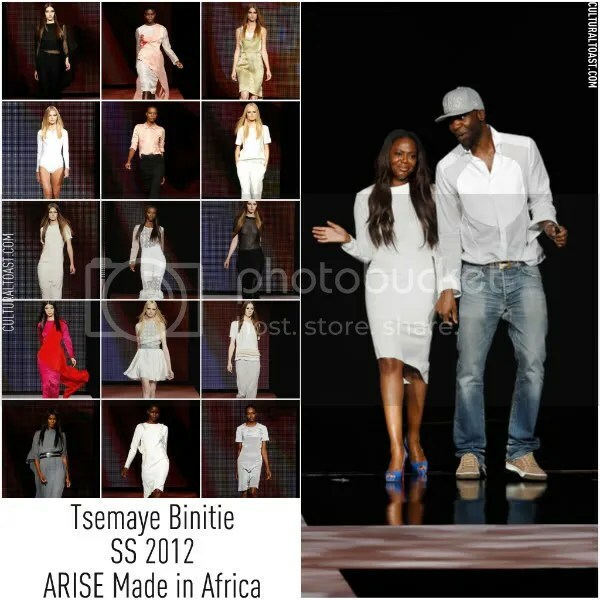 Bunmi Olaye presented her Bunmi Koko Spring/Summer 2012 collection she aptly named Allure of the Sirens at Arise Made in Africa Designer Collective show during New York Fashion. High structured pieces tied into her water theme. Bunmi Koko known for her eclectic take on womenswear was one of 7 African fashion designers that presented their latest designs at the highly-anticipated Arise Made in Africa Designer Collective show. Elite Model Nigeria winner Chika Emmanuel joined fellow rising models Rose Cordero. 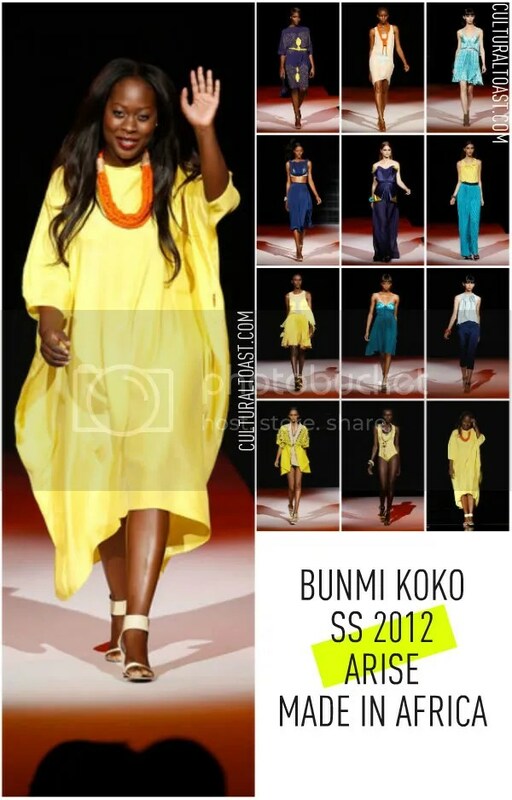 We love Bunmi Koko’s chic rope statement-making necklaces and belts. We also admire her use of pleats! The collection is very feminine!